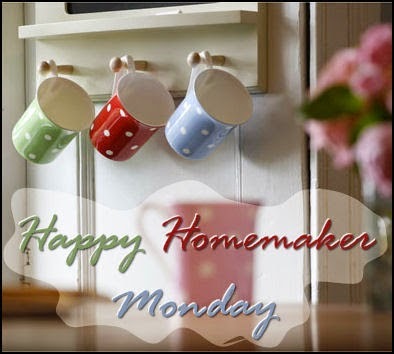 Welcome to my first Happy Homemaker Monday since November! I am excited to be able to participate with Sandra at Diary of a Stay at Home Mom! Overcast but nearly 60 degrees! Just my cup of Yerba Mate this morning. We are doing intermittent fasting two days a week so no breakfast, only a very light lunch. I see freshly mowed grass and beautiful flowers! It must be Spring! 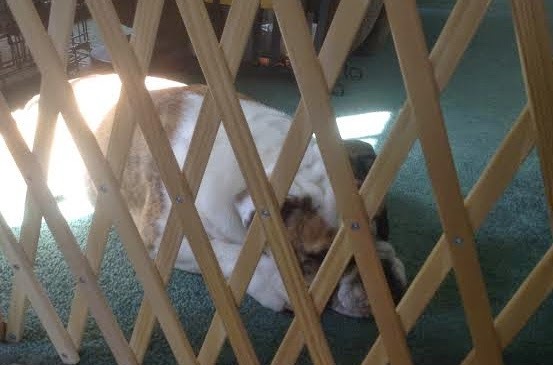 Watching the dog busy with his toys while drinking my cup of Yerba Mate and typing this post. Dog toys are strewn everywhere and I just picked them up last night! My desk and dining room table need some attention but everything else looks good. We do need to repaint every.room.in.the.house and are making plans for that and I would love to replace the carpet with bamboo flooring; carpet is looking tired after 20 years and several dogs. The painting will get done but the flooring hasn't made it to the top of the priority list yet so guess I will just have to shampoo! I just downloaded Praying for Your Elephant: Boldly Approaching Jesus with Radical and Audacious Pray by Adam Stadtmiller...I will be starting it today! I am currently enjoying Hart of Dixie on Netflix! Plus I need to finish watching this season's episodes of Downton Abbey. Wednesday - Tacos with Spicy Quinoa "Burger"
I am working on a beautiful shawl/wrap for my niece for spring. I am using Paton's Lacy Sequins yarn. Well, that's it for my Happy Homemaker Monday! Tomorrow I have a recipe for Three Ingredient Biscuits that are light and fluffy! Poor Wilson! A scratch behind the ears might help. 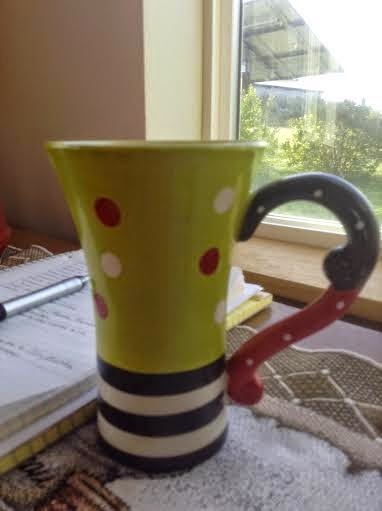 That is a cheerful mug. Oh, me too! I bought the color in the picture for my niece and a beautiful green for me. It certainly has been a fun show to watch! You are ahead of me as I am still in season one. Thanks for stopping by!